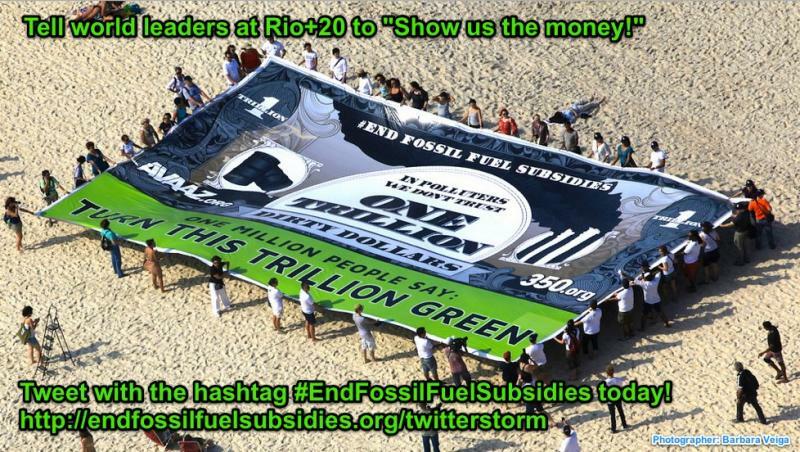 On the eve of the Rio +20 International Conference on Sustainable Development, to be held in Rio de Janeiro in late June, more than a million citizens have signed a call for world leaders to stop subsidizing fossil fuels - coal, oil and gas. UN experts in their report "From Transition to Transformation: sustainable and comprehensive development in Europe and Central Asia" http://www.undp.ru/index.php?iso=RU&lid=2&cmd=publications1&id=144 to the Rio +20 summit come to a similar conclusion and also urge the leaders to repeal subsidies for fossil fuels. As explained in the report, greenhouse gas emissions are five times higher than the value, which allows stabilizing global warming by 2050. The energy sector accounts for one third of greenhouse gas emissions in the EU, more than one third in Turkey, and nearly three-fifths in Russia. According to experts, transition from traditional fossil fuels to alternative ones (wind, solar, geothermal) will significantly reduce negative human impact on the global environment. 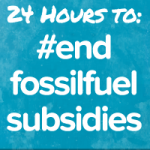 "Subsidies for fossil fuels are still high in the Eurasian region, and artificially low prices for electricity and heat lead to wasteful use of energy in some countries with economies in transition. Appropriate price signals are the most efficient tool to change the current consumption, production and investment patterns for billions of people and businesses"- says the report. According to the report, the price for energy shall be formed with account for environmental costs, which will make alternative energy sources more attractive and will help to change consumer behavior. Experts also point out that, in addition to removal of subsidies, taxes on carbon emissions may also be introduced, which will allow for higher energy prices. "At the global level, the amount of primary energy per unit of Gross Domestic Product (GDP) is declining. This is the result of higher energy prices, energy efficiency measures and programs to reduce CO2 emissions" - says the report. However, according to the data in the report, the countries of Eastern Europe, Caucasus and Central Asia have the second largest (after China) energy consumption per unit of GDP, which is higher than the same parameter in central Europe by 2.7 times. "In Russia, despite the huge potential of renewable energy (due to geographical location, which is suitable for wind, geothermal and solar), fossil fuels continue to dominate the energy sector" – note the authors of the document. In addition, the UN experts believe that countries with developing economies invest less in energy innovation than the leading countries. For example, according to the Organization for Economic Cooperation and Development (OECD) data on 2011, Russia spent about 2 % of its budget on energy and environmental protection, whereas New Zealand – 14 %. Subsidizing "traditional" types of fuels in Russia is the reason for distorted prices in the Russian market and for stagnation of renewable energy. In contrast to the "subsidized" prices for traditional energy sources, unsubsidized renewable energy really looks uncompetitive. The existing monopoly structure is unfavorable for the emergence of independent power producers on the market. 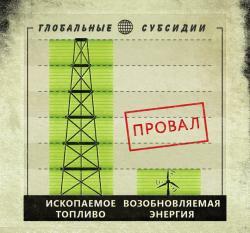 Representatives of Russian non-governmental environmental organizations believe that direct and hidden subsidies for conventional energy in Russia should be stopped. These "dead end" schemes shall be replaced by transparent tariff schemes, and transparent compensation schemes for energy production costs from renewable energy sources shall be created.